Our 100% online DOT HAZMAT Security Awareness training course helps employees involved with HAZMAT transportation to meet the training requirements in 49 CFR 172.704(a)(4). Course topics include recognizing security threats during hazardous materials transportation, methods to increase security and prevent security breaches, and understanding security plan requirements. Our online DOT HAZMAT Security Awareness training course is designed for employees involved with the transportation of hazardous materials, such as shipment, carrying, or manufacture. 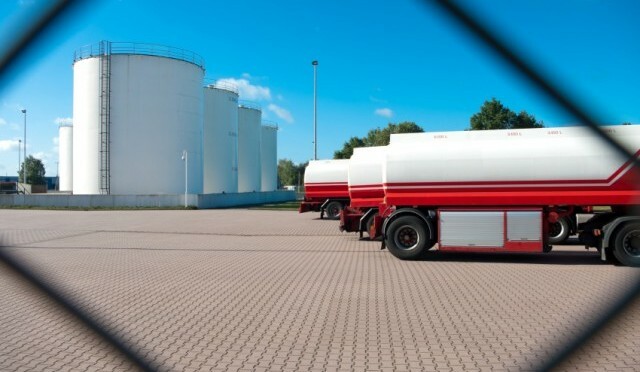 This course will help the student learn how to recognize security threats when transporting hazardous materials, how they can increase security and help prevent security breaches, and understand security plan requirements. This training meets the requirements for 49 CFR 172.704(a)(4). If you took our DOT HAZMAT Training: Basic General Awareness (4 Hours) course or DOT HAZMAT Training: General Awareness/Function Specific (10 Hours) course, a security awareness module is included in those courses. Through our state-of-the-art Online Training System (OTS), students take and complete this 100% online, fully narrated course. The training is self-paced and available 24/7. Designed by Certified Outreach Trainers, the course includes up-to-date, high quality training created with your safety and learning as our top priority. The course features interactive training, which combines audio and visual elements for maximum retention. The course is completed entirely online using a computer with an internet connection and is available 24/7. For your convenience, it can be completed over time, and your progress will be saved to the last section completed. Students are given 6 months to complete the course after enrollment. We are so certain you will be satisfied with your experience, that we offer a 100% Money Back Guarantee*. Once the course is completed, you will immediately be able to download, save or print your course DOT HAZMAT Certificate of Completion which is provided in PDF format. You’ll also be mailed a PVC credit card style Wallet ID Card with optional photo, showing training course completion. The card will be mailed within 24 hours of course completion. Security awareness importance | Potential targets and threats | Transportation industries and preventative security | Common threat sources. Cargo and driver security planning | Security procedures pre- and post-transport | Awareness while en route | Employer responsibilities | Computer systems and cyber terrorism. Developing a Hazmat Security Program | Vulnerability assessment | Ranking for potential exposure and accessibility | Performing a security review | Hazmat transportation and handling | Security training | Employee background checks | Accessing your facility security. In-depth security plan requirements | Compnents of an in-depth security plan. The objective of this online DOT HAZMAT Security Awareness training is to meet the Federal Department of Transportation (DOT) training requirements for 49 CFR 172.704(a)(4). Explain the requirements for a thorough security plan. This course consists of 4 sections, which are fully narrated and interactive in our Online Training System (OTS). Knowledge checks and exercises within each section help the student retain the knowledge needed for the final exam. This DOT HAZMAT Security Awareness training was designed by Certified Outreach Trainers and meets the requirements for 49 CFR 172.704(a)(4). Once the course is completed, you will immediately be able to download, save or print your DOT HAZMAT Security Awareness Certificate of Course Completion which is provided in PDF format. You’ll also be mailed a PVC credit card style Wallet ID Card with optional photo, showing training course completion. The card will be mailed within 24 hours of course completion.